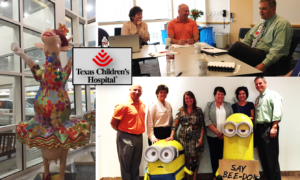 The IPRC Steering Committee reconvened for a 2 day session of strategy and planning in November of 2017 at Texas Children’s Hospital in Houston, Texas. The group met with senior leaders from the organization and set goals for the upcoming year. Focus areas for this year include Standardizing Outcome Collection, Increased Networking Opportunities, and Advocacy Initiatives.